I first discovered Northwest Naturals awhile back when searching for a children’s supplement that included zinc for my daughter’s severe asthma and eczema. We tried L’il Critters Immune c plus zinc and Echinacea and were not disappointed. My children loved the tasty “critters” and I appreciated that these supplements used only natural colors and flavors. 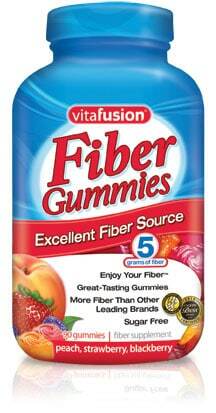 VitaFusion is gluten free and does not contain milk, eggs or peanuts. A serving also contains calcium comparable to two 6 ounce glasses of milk. 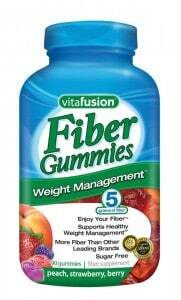 VitaFusion Fiber Gummy Original and VitaFusion Fiber Gummy Weight Management is available at leading retailers. Visit their site to purchase or find a store near you. I would love to try the adult multi-vitamin gummies. The weight management for sure! I’m interested in the gummy bear vitamins. I would like to try the Omega 3 gummy vitamins! I would also like to try the Detox 7 Whole Body Cleanser. I am following Vita Fusion via Twitter as jlsc123. I am a fan of Vita Fusion via Facebook as Jill Myrick and have left a comment that you sent me. The Energy B Gummy vitamins would probably help me out.